After the terrorist attack in Paris on November 13, 2015, Facebook immediately came out with an app that let its users superimpose the French flag over their profile pictures to ostensibly show solidarity with France and Paris. Overnight, it seemed, these superimposed French flags were everywhere on profiles. There is no doubt that millions of people changed their profile pictures to have the French flag superimposed. So what does this example have to do with what quintessential leaders understand (and no one else seems to) about ubiquity and popularity? More importantly, why does it matter? In other words, what’s the big deal? It turns out that the big deal is bigger than most people seem to realize or even care about. This latest experiment of successfully exploiting the herd mentality of humanity shows a lot about how much danger the majority of the human population is because of what we’ve easily and willingly surrendered or forgotten (if, in fact, we ever had or knew it) in the age of narcissist-driven desire for ubiquity and popularity that social media feeds. If you were one of those Facebook users who changed your profile picture to have the French flag superimposed over it, why did you do it? Did you think about it first or did you do it simply because you saw that others on your friends’ list did it? Answering this question honestly will help all of us understand what quintessential leaders understand about reasons for and the inherent dangers in the desire for ubiquity and popularity. The reality is that most people applied this Facebook profile change simply because they saw everyone else doing it. They were unconsciously just following the crowd in a shallow and thoughtless quest to be like everyone else. This is the first inherent danger in the desire for ubiquity and popularity. Critical thinking, deep thinking, and discernment never enter the picture. The why of what we are doing or saying is never on the radar, removed by the simple desire to be like everyone else, no matter what that means we have to do or say. This is the “shallows” effect of the internet that increasingly threatens to obliterate our ability to make decisions that are well-thought-out, knowledgeable, logical, sensible, and that are consistent with an internal, unwavering system of absolute ethics and principles. Quintessential leaders differ from everybody else because they are aware of – continually learning and educating themselves and thinking deeply and critically about everything – how tempting and strong the desire to be seen and heard everywhere (ubiquity) and to have lots of people literally or symbolically like them (popularity) can be and how easy those desires make it to just follow the crowd. The second inherent danger of ubiquity and popularity is the very real possibility of completely losing your way in life. 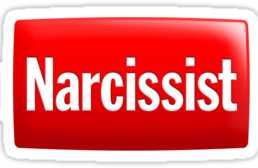 More and more, the majority of humanity is caving into a life of superficiality, inanity, and meaninglessness because the cheap and temporary thrills of ubiquity and popularity (and the dopamine hits to the brain they generate) have become their relentless masters. Look around on social media. If you’re honest, there’s little of value and depth that evokes and stimulates learning, education, and critical thinking. The majority of people want a quick-hit life engineered by 300 words or less that are humorous, can be easy skimmed (because it just takes toooooooooooo long to actually read anything and if it’s longer than 300 words, that takes wayyyyyyyyyyy too much effort to bother with), and doesn’t step on any toes with reality and honesty. The inherent danger of the quick-hit life that ubiquity and popularity engenders is that you end up following the crowd where they go and the crowd doesn’t know best (they actually know very little, when it’s all said and done) nor do they have your best interests at heart. And one day, perhaps, you’ll wake up and realize that you’re some place that you don’t recognize, never intended to be, and don’t know how you got there. Quintessential leaders don’t follow the crowd because the reality is that the crowd doesn’t know where its going, but it just drifts along aimlessly, carelessly, and thoughtlessly. Quintessential leaders have well-defined goals and they carefully and consciously think, plan, and build solid frameworks before they do or say anything. Even if it – and many times it can be – is in an opposite direction from the one the crowd is drifting toward. As a result, quintessential leaders know exactly where they are going and what the end result is supposed to look like. There are always unexpected obstacles, setbacks, delays, and twists and turns in the actual route that must be successfully overcome, but the end is never not in focus or in doubt. Now each of us must look at ourselves and see whether we are seeking ubiquity and popularity, with all its inherent dangers, or whether we are striving to continue adhering to the more narrow and worthwhile path of quintessential leadership. Your answer and my answer make all the difference in how our lives are unfolding and what the sum of them will look like at the end.